Please note that the content of this book primarily consists of articles available from Wikipedia or other free sources online. The Asociación de Scouts de Bolivia (ASB) is the national Scouting association of Bolivia. 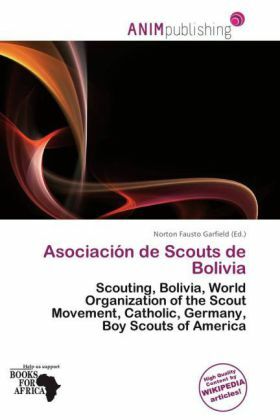 Scouting was founded in Bolivia in 1911 and became a member of the World Organization of the Scout Movement in 1950. ASB has 7,898 members (as of 2011). Scouting is active in rural and urban areas of the country, and open to all young people of all religions. 90% of all members are Catholic, and the church sponsors many groups.